What's the difference is between fiberglass and carbon fiber? What are their best applications? 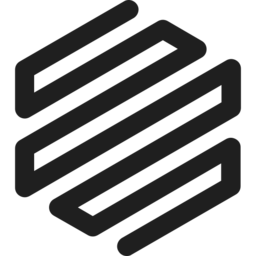 Both fiberglass and carbon fiber are well established reinforcement materials. Both are synonymous with extremely high tensile strength within the world of composites but have been historically used for very different applications and have different reputations. Fiberglass has long been thought of as a “cheap” material. Boat building, inexpensive structural components, and drainage products make up the primary applications for the material. Carbon fiber, on the other hand, has become synonymous with speed and high performance. It’s often seen on race cars, new passenger jets, and other high-end engineered solutions. In the context of 3D printing, both carbon fiber and fiberglass are high quality fibers that can reinforce engineering grade parts. Reinforcement with continuous strands of fiberglass might well be our “entry-level” fiber, but fiberglass can generate some incredible printed part property improvements. In comparison to ABS for example, printed parts with fiberglass continuous reinforcement fiber are 20x stronger and 10x stiffer in tension than a conventional ABS printed part. For factory floor tooling/fixturing or high-strength prototyping built to a cost, fiberglass continuous fiber is often the perfect choice. HSHT fiberglass, on the other hand, is best used to replace mission-critical machined aluminum parts. With superior heat resistance and flexural strength, second only to carbon fiber, HSHT fiberglass affords a cost-effective continuous reinforcement solution to many industrial applications that require heat and impact resistance. Additionally, both fiberglass and HSHT fiberglass provide some potentially unique and beneficial secondary properties. Although the reinforcing fiber is normally contained sub-surface, when a printed part wears, the reinforcement fiberglass or HSHT fiberglass can become exposed. The white fibers of the reinforcing fiberglass or HSHT fiberglass often fray/spread across the wear surface, providing a clear indication of near “end of life”. Additionally, the toughness of the exposed fiber can actually add time to the working life of the part. . Having a clear “visual wear marker” as well a late-stage “wear prevention” characteristic can be useful in real-world industrial/process applications. Where “failure critical” parts are used under cyclic loading conditions, HSHT fiberglass reinforcement (in particular) can not only offer strength near that of carbon fiber reinforcement without the downside of catastrophic failure. Instead, it yields plastically with minimal energy rebound. As both fiberglass variants are amorphous, they offer an improved radiolucent solution for many RF/antenna-base applications. Carbon fibers, on the other hand are made from organic polymers, processed at relatively low temperatures, but through a series of complex chemical, thermal, and mechanical treatments and are crystalline by nature. The resultant material has one of the highest strength to weight ratios in existence -- higher than both steel and titanium. 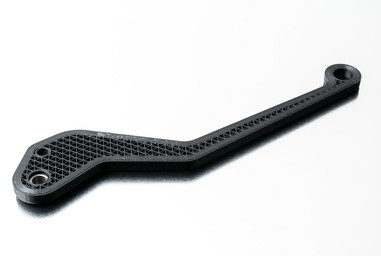 In 3D printing, carbon fiber is the continuous fiber of choice for stiffness. It’s 25x stiffer than ABS and 2x stiffer than any other Markforged continuous reinforcement fiber. 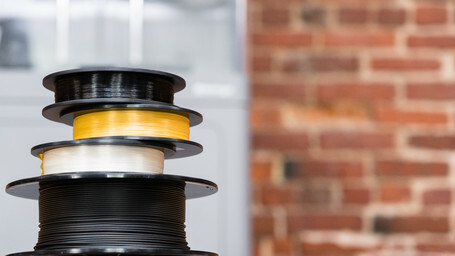 Compared with 6061 aluminum, 3D printed carbon fiber has a 50% higher strength-to-weight ratio in flexure and 300% in a tensile moment, making this fiber the go-to material for maximal properties. Carbon fiber continuous reinforcement has been used to create conformal jigs/fixtures and specialty tooling for some of the largest and most prestigious global business through to one-off end-use parts for high-end motorsport applications. The development of more complex generative-designed components within industry has often led to a complex tooling requirement for “post-finish machining” on expensive 5-axis milling machines. 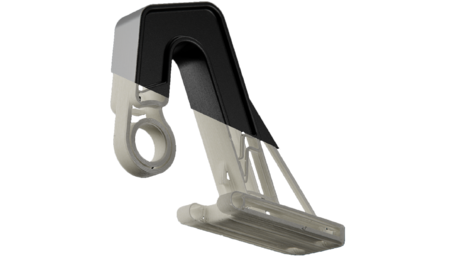 Markforged is actively participating in many benchmarking opportunities around the globe for ultra light-weight, highly “damped” specialty “conformal” tooling enabling leaders in Industry 4.0, realize their fullest potential. As can be seen, each fiber has its own benefits and applications. Feel free to reach out to us for further help or advice on which is the most appropriate reinforcement fiber for your application. 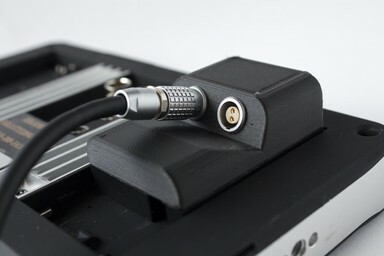 Access our free Design Guide for 3D Printing with Composites to learn more. Our stiff and sleek Onyx material is used to print parts for end use applications like custom media equipment. 3D printing a high strength chain link strong enough to support a cement truck. 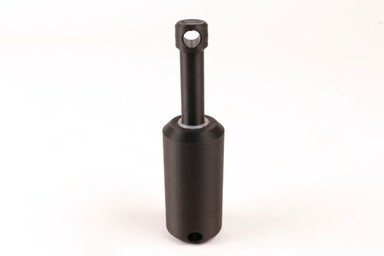 Strong, functional parts are made with Markforged carbon fiber filament. Using Tough Nylon and Onyx parts, Alex Crease made an entirely 3D printed shock absorber on a Mark Two after experimenting with 3D printed springs.